Mistletoe mystery — something’s missing from the kissing plant? It's a plant steeped in ancient associations with druids and Northern European folklore and since the 18th century, has been synonymous with kissing at Christmas time. But a new scientific study, which appears today in the peer-reviewed journal Current Biology, has cast dramatic light on that evergreen festive favourite, mistletoe. Scientists at the John Innes Centre, Norwich, UK, working alongside colleagues at the Max Planck Institute of Molecular Plant Physiology, Germany, were surprised to discover that the parasitic plant has evolved in a manner that makes it unique among multicellular organisms. The team discovered that a key piece of machinery essential for aerobic respiration in animals and plants, an enzyme called Complex I, is missing in European mistletoe (Viscum album). Instead, mistletoe uses alternative energy pathways including glycolysis which generates energy in a different part of the cell. This, combined with the nutrients generously provided by its host trees, provides European mistletoe with all the necessary requirements to keep hale and healthy. Over millions of years of evolution, mistletoe has remodelled the way it generates energy at the molecular level, explains Dr Andrew Maclean, a PhD student in the laboratory of Dr Janneke Balk at the John Innes Centre and lead author of the study. "We were following up earlier studies that had shown genes responsible for producing Complex I were missing, but we thought they may have relocated to other parts of the genome. "We were stunned to discover that mistletoe has managed to dispense with this piece of metabolic machinery that was thought to be essential for all multicellular organisms." "But maybe because mistletoe is a parasite and it gets lots of nutrition from its host then it doesn't need a high capacity for respiration"
The discovery of mistletoe's remarkable metabolism provides a unique window into the life cycle of a high-profile parasite in evolutionary time, says Dr Maclean. 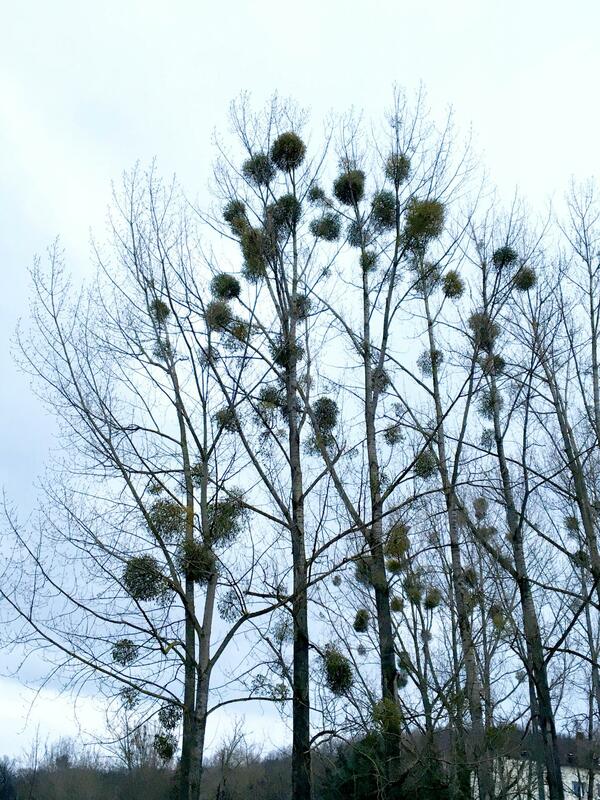 The next step for the team at the John Innes Centre and colleagues at the Max Planck Institute is to work out if this is a phenomenon unique to mistletoe or if it applies to other parasitic plants. The knowledge relating to parasitic biochemistry and lifecycle may one day be applied to protecting crops. Mistletoe is a parasite of apple orchards and has an effect on yields although not usually drastic. "Mistletoe is a hemiparasite, meaning it can perform photosynthesis and produce some sugars for energy production, but other parasites are more damaging and extract everything they can from the host," says Dr Maclean. The knowledge may assist in the fight against damaging crop parasites such as witchweed (Striga asiatica L.) that affects maize yield. The full findings can be read in the journal Current Biology in the scientific article "Absence of Complex I Is Associated with Diminished Respiratory Chain Function in European Mistletoe." The John Innes Centre is an independent, international centre of excellence in plant science and microbiology. Our mission is to generate knowledge of plants and microbes through innovative research, to train scientists for the future, to apply our knowledge of nature's diversity to benefit agriculture, the environment, human health, and wellbeing, and engage with policy makers and the public.